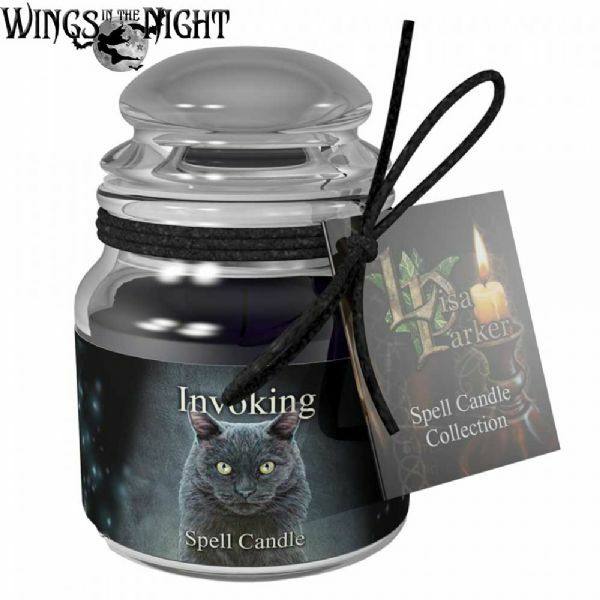 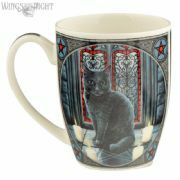 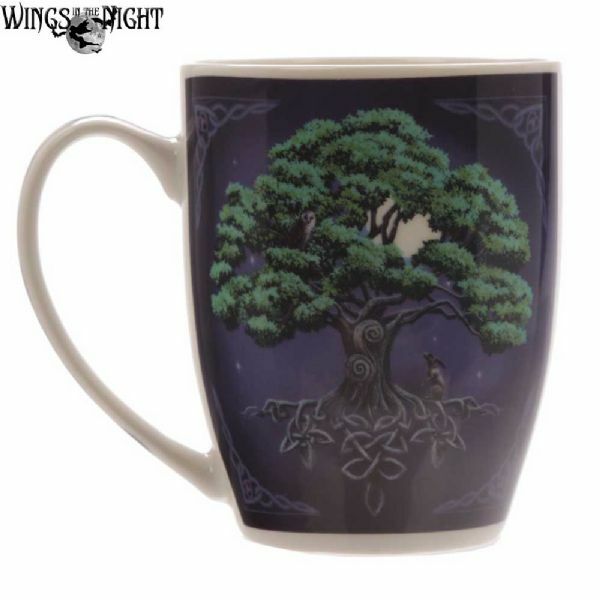 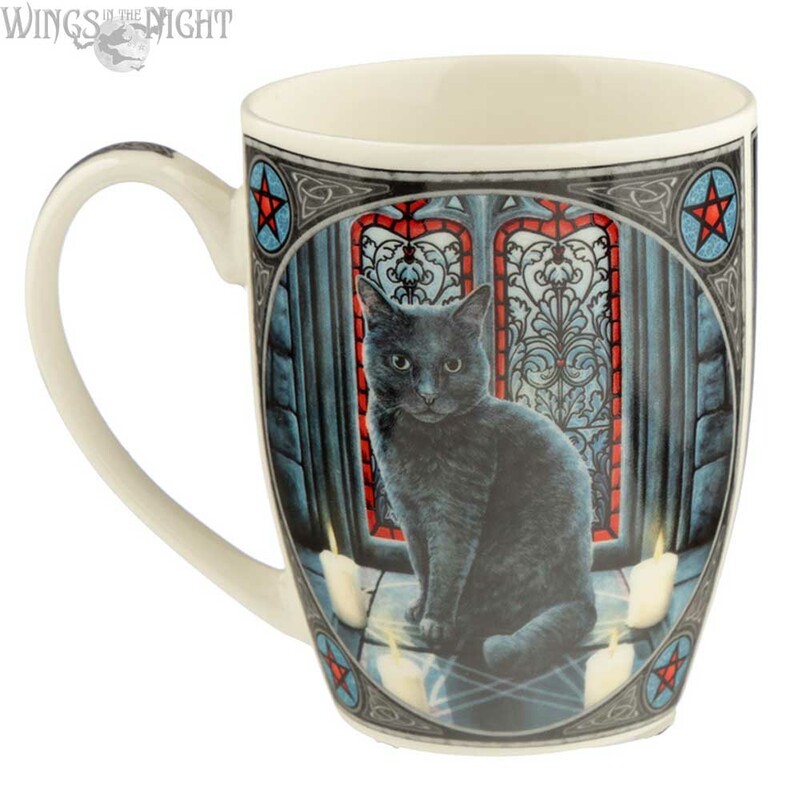 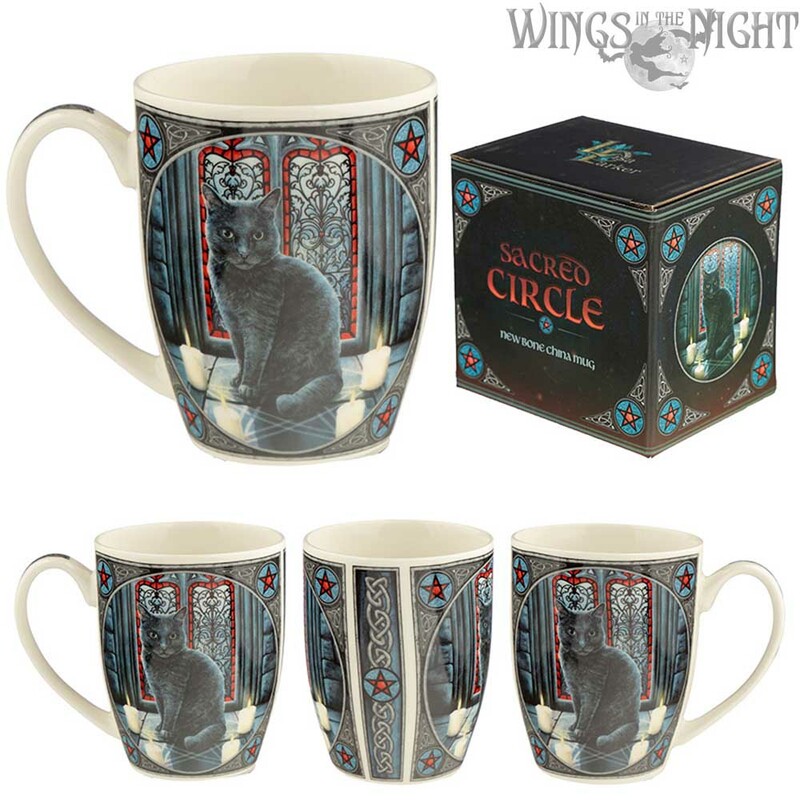 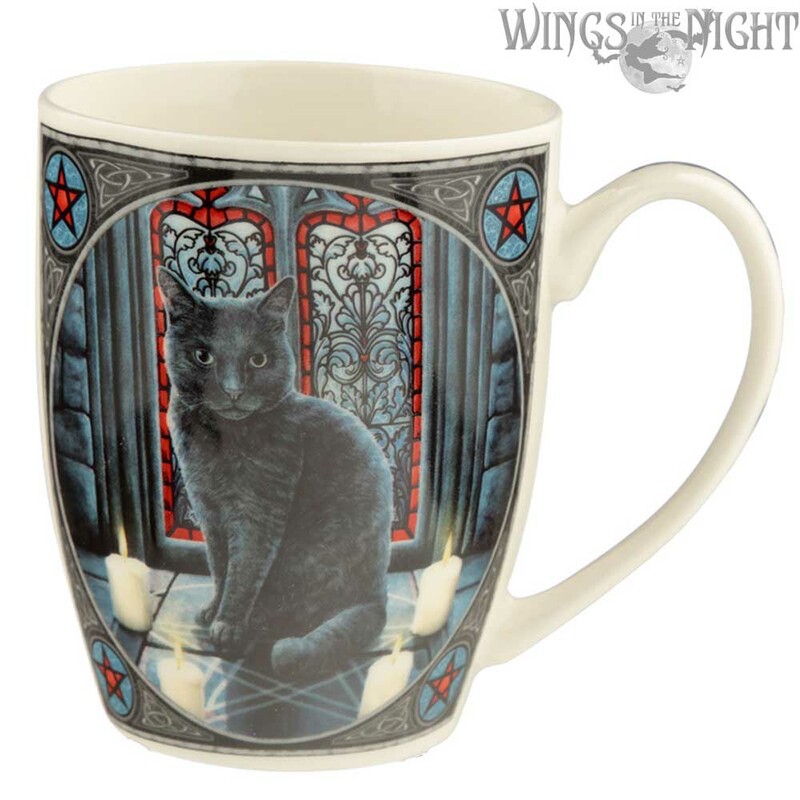 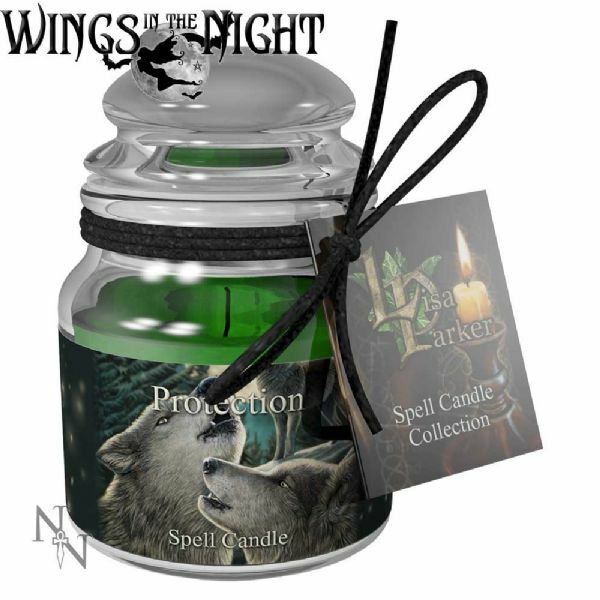 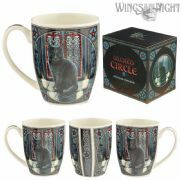 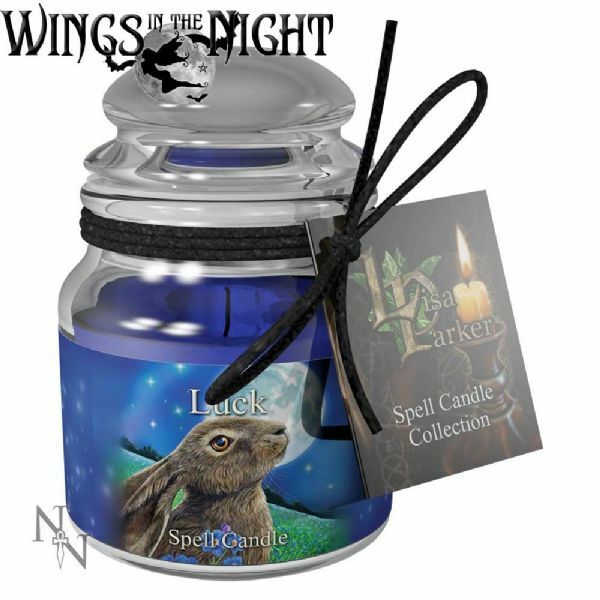 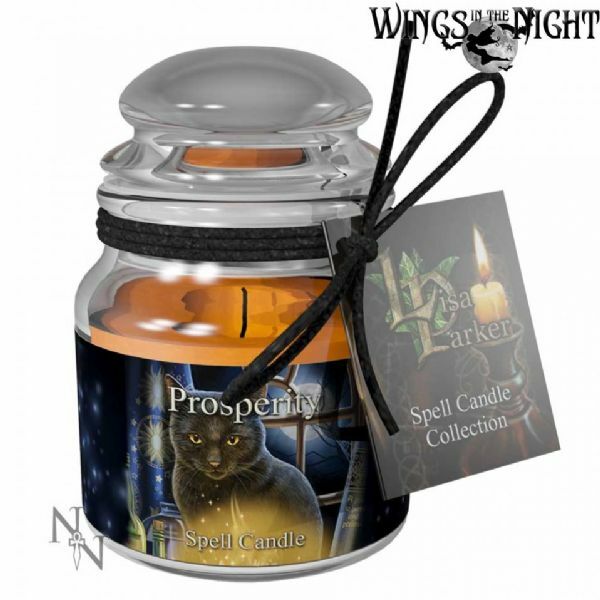 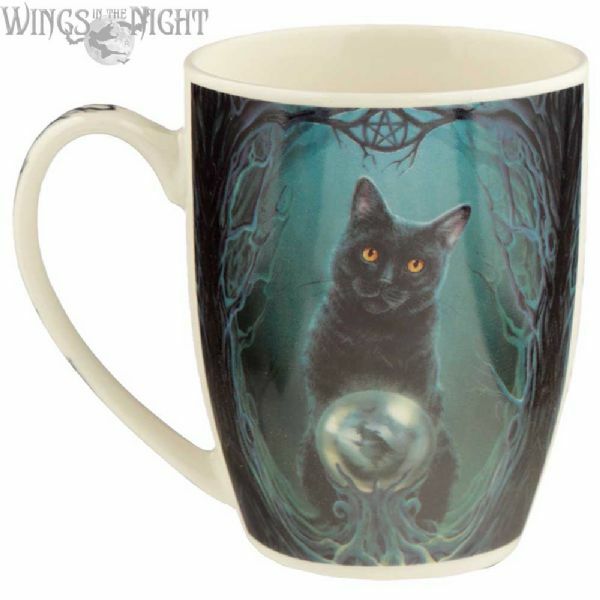 Sacred Circle bone china mug designed by Lisa Parker featuring gorgeous full colour artwork of a black cat sat within a Pentagram with lit candles at the points, in front of Gothic windows. 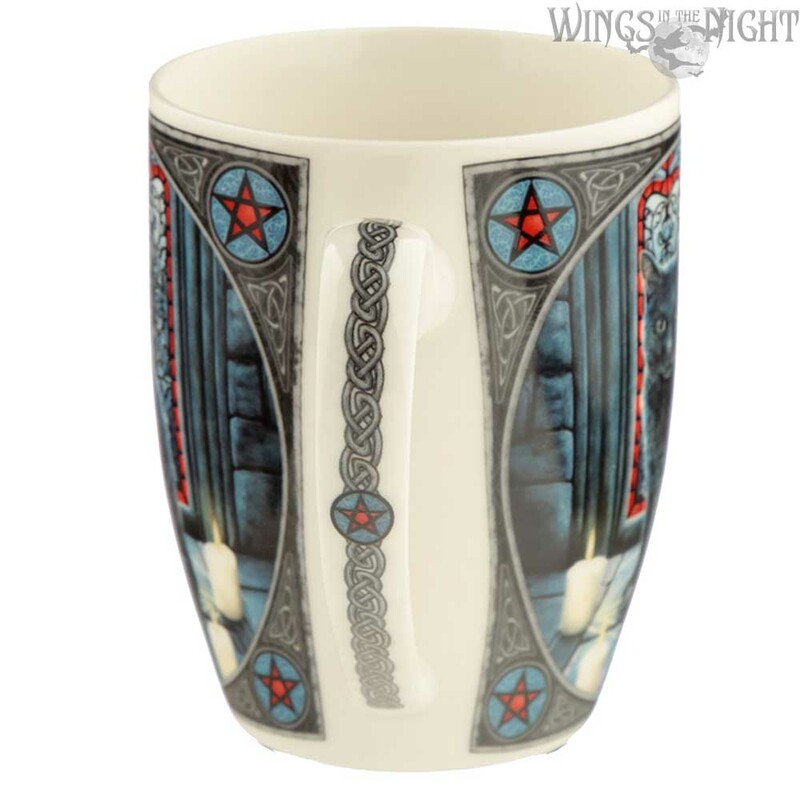 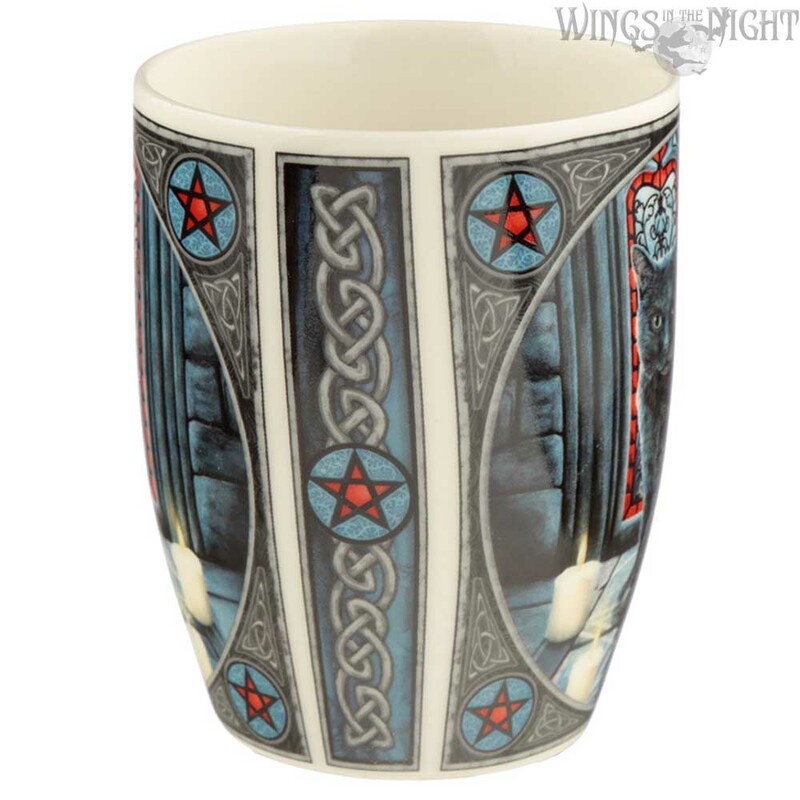 The design is wrapped around the whole mug and finished with contrasting patterns on the sides and on the handle. 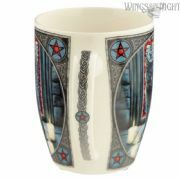 It is dishwasher and microwave safe and comes in a full colour gift box. 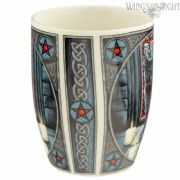 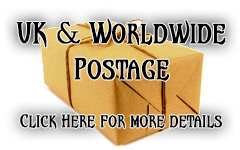 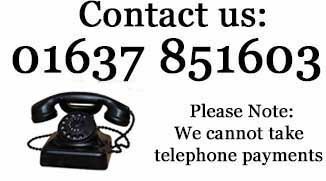 Dimensions: Height 10cms, Width 11cms.